For the majority of women winter brings in a lot of good hair days, blow drys that last longer, and generally much more versatile looks. However for some us who bear the curse of fine straight hair, the season blows in limp strands with ample static which pose a nightmare given the multitude of RSVP filled days to come. Fear not, we have handpicked a selection of stunning hairstyles for just such occasions as well as if you’re simply looking to shake things up a bit. 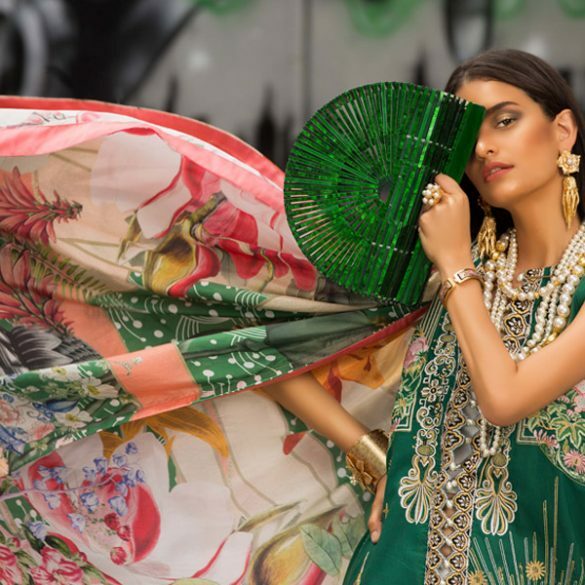 For starters, if you’ve had it with trying to style your lifeless length you might consider a fresh new leaf by chopping it off like Mahirah Khan or the recently wedded Syra Yousuf. You can take years off your face and save precious time. The options here are Mahirah’s short layers for some volume or Syra’s blunt chic bob. Who says you can’t wear short hair at your own wedding! Another chic look you might want to try is blunt cut front bangs that frame your face, along the lines of the ever fashionable Frieha Altaf or Bengali beauty, Bipasha Basu who also recently experimented with a peek-a-boo fringe. If the hair in your eyes doesn’t annoy you, this is a fun youthful look to play with. The bangs accentuate your eyes and serve as a hair accessory on their own. But if you do decide to adopt this look, own it with confidence like these women! For a sophisticated event we love the old Hollywood style structured waves, although you will probably need naturally thicker texture to achieve Amanda Seyfried’s cascading waves. This vintage look is classy and dramatic with an air of mystery. Kate Hudson’s twisted ponytail looks a lot more complicated than it is however for a special occasion it is well worth the effort. The twist is extremely popular this year from its simplest side pinned form to an all out spiraling web of strands. If you’re one of those people who doesn’t like to ignore what’s happening on the back side of your ensemble you will love this look. If you can get the soft loose curls right the ponytail is a cinch. The beloved fishtail is currently everyone’s favourite first choice for both casual and dressy getups. For a relaxed look do it yourself, the messier the better! But for an evening out leave it to the pros and if you have Sania Maskatiya’s luscious mane, the result will be as spectacular as it was on her at FPW 2012. The rope style is both traditional and contemporary and once you try it you won’t be able to stop. Additionally for a Mehndi bridal you can intertwine flowers or accessories through the braid for a classic romantic feel. Speaking of braids we love the Greek combo of the braided crown that also extends to the braided bun last seen on Kelly Rutherford aka Lily Van der Woodsen on Gossip Girl as well as on the Fall runways for Marc Jacobs, Emilio Pucci and not to mention on the red carpet on Julianne Hough among others. Nabila at N-Pro took it a notch above by giving Fauzia Aman a French crown braid extending into a full bun for Nomi Ansari’s digital satin collection shoot. When in a rush the up top high bun is a great option. It’s easy to make and immediately contributes to a more formal vibe. Leave a few stray strands loose like Diane Kruger and coil the rest tightly, securing with plenty of pins. This style is great for finer hair as you don’t want to look like you have a bird’s nest up there. Finally the simple extreme one-sided sweep is one of the easiest and most elegant looks provided your hair is long enough to travel across your shoulders to the other side. Kristen Stewart nails the style with heightened allure showing one shoulder clean. Use pins to secure the shorter layers behind your ear and carve a deep side parting to create the look. You are now set to rock any occasion that lies in store for you. The key is not to try too hard, go for styles that are in sync with your personality at heart and you will truly shine.